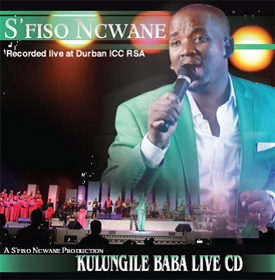 IN November 2012 S'Fiso appeared live for a huge audience at the ICC in Durban. This was recorded and taped for release on CD and DVD. THE CD KULUNGILE BABA LIVE is now available and will be followed by the DVD soon.